A Perl Module is a software which is developed using the Perl programming language. cPanel allows you to easily search for a Perl module and install it directly to your website. 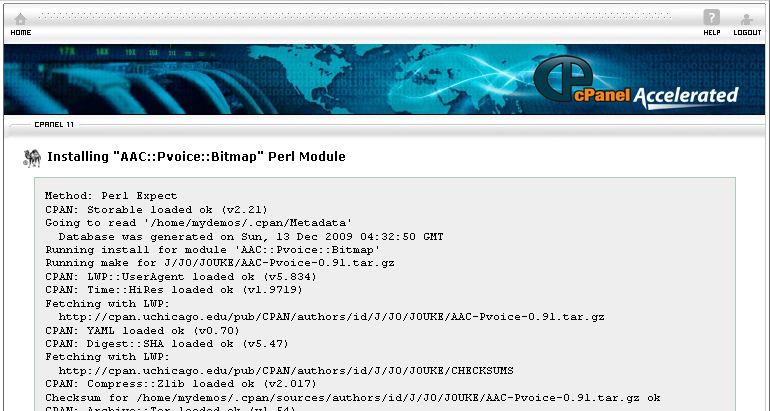 On the homepage of your cPanel, click on Perl Modules under Software / Services. Click on the Show Available Perl Modules button. When you find the Perl Module, click on the Install button. It will take some time for the module to be fully installed. Type in the name of the module you want to install in the search box, and then click on the Go button. When you see the Perl module you want to install, click on the Install button. Wait a few seconds/minutes and the Perl module should be installed. If you want to update a Perl module to a newer version, click on the Update button. If you want to reinstall a Perl module, click on the Reinstall button. If you want to uninstall a Perl module, click on the Uninstall button. If you want to view the documentation for the Perl module, click on the Show Docs button. There are a number of Perl modules that are preinstalled in cPanel. To view these modules, click on the Show System Installed Modules. If you follow the above instructions, you will be able to install Perl module through cPanel.